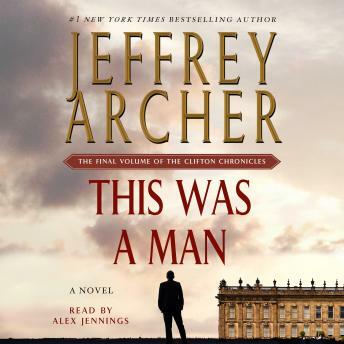 This Was a Man is the captivating final installment of the Clifton Chronicles, a seven-part series that has topped the bestseller lists around the world, and enhanced Jeffrey Archer's reputation as a master storyteller. I have recommended Audio Books to many, because of this series, and this narrator. Loved all six books, and very sorry to have them end. Loved the book, so sad to see the series come to an end. I love Jeffrey Archer's book, but the books of The Clifton Family Chronicles are some of my favourite books ever!